Third plays fourth in Zagreb on Thursday night and this match could have a big part to play in who makes their way out of Group B and into the Top 16. The hosts have a 4-3 record while the team from Istanbul hold a 3-4 record, so things could barely be closer in the build up to this vital match. 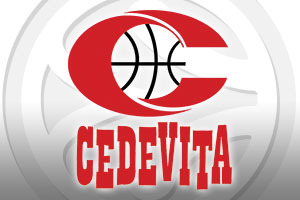 Cedevita know that a home win will be enough to place them into the Top 16, so they have every incentive to grab this victory. Given that they have already won in Istanbul this season in Round 3, they should have every confidence in doing the double against Anadolu. That 75-81 win saw Miro Bilan, Luka Babic and Jacob Pullen all play extremely well and if the same players hit top form again, they will be in with a chance of sparking off massive celebrations at the end of the evening in Zagreb. With respect to minutes played, the host’s James White is the player who has clocked up the most game time this season. 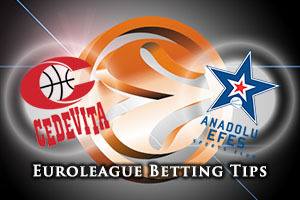 There is a chance that Anadolu could clinch a spot in the Top 16 this week but they need a few results to go in their favour. First of all, the Turkish giants need to progress themselves but they also need Limoges CSP and the EA7 Milan to lose on the same evening. It is far from being an impossible task but if the team from Istanbul are celebrating progress at the end of the night, they will have received a bit of luck. Jon Diebler has been the key player for grabbing points for the Turkish team this campaign while Tomas Huertel is likely to be at the heart of everything that is good for the away team. Both teams know the importance of winning and the bookmakers are tipping the away team to win. With that in mind, pile on Cedevita Zagreb at +3, at odds of 1.90 for this game. For those looking for the Over/Under market, look to go UNDER 154.5 at odds of 1.90. Bet Now!